Do you have the numbers for a 2017 Volvo V90 Cross Country for 36/12? Also for the regular V90 if you have them. Thank you. Thank you for the quick response. What is the residual adjustment for 36/12? Are they going to offer incentive like rebate, lease help like they do on S90? None yet... no telling what they will do in the future. Can I get the current numbers for the 2017 V90CC T6 - 36/15 and 36/18 of available? California please. May I have the number for 36/15? and 30/15? Hi Michaell, what is the 24/10 and 30/10 residual and MF for the V90 CC? Is the competitive station wagon allowance ($4500) still in play for September? Any other incentives that you are aware of for this month? I only see a $750 Volvo allowance; no info on any other incentives. Looking to lease before end of month, qualify for conquest, live in So. Cal. Can you tell me the money factor, residual, and any other incentives? Do I need to list specific extras/packages to get accurate numbers from you? Packages and options do not affect the numbers. Can I stack the $750 Volvo allowance w/ the $750 Costco incentive? Any change in the number for October for a 2017 V90CC T6 for 15k/36 in northern virginia? Gentlemen- now that the F-Type SVR is secured (thank you again) it is back to the people/puppy hauler search. Hopefully no changes since last month. Im currently negtiation brand new 2017 V90 CC with $59650 MSRP tag on. I came down to 10% off from the MSRP. Is there room to go more? We don't track pricing. 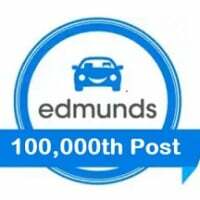 Click on the Make/Model/Year tabs at the top of the page to access Edmunds pricing tools. Can i please get MF, residual and incentives for 2017 v90 CC AWD T6?